(AP) LAS VEGAS - The NBA Board of Governors approved a new look for uniforms and a couple of changes in the use of video replay. 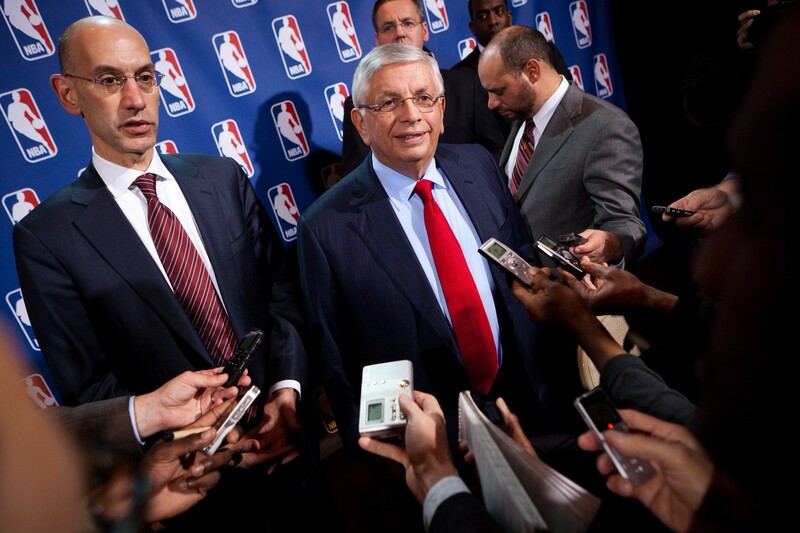 Commissioner David Stern met with the media Thursday after the Board of Governors held their annual summer meeting. He said the league is looking to add possibly $100 million in revenue by permitting small advertising patches on uniforms starting in the 2013-14 season. "The view is, that the teams would need a significant time; one, to sell the patch; and number two, for Adidas to manufacture the uniforms, because the patch that would be on the players' uniforms would also appear on the jerseys at retail," said Deputy Commissioner Adam Silver, who is handling the uniform change. Silver said there are revenue projections from European soccer teams that the NBA could use. The competition committee altered a few rule changes with respect to the use of video replay, primarily in the final 2 minutes or overtime of games. At any point in the game, officials can now check video replay on all flagrant fouls. "So the call is flagrant foul and then you go the tape, and you decide whether it's a 1 or a 2, or in some rare instance, maybe even a common foul," Stern said. Officials can now use video replay in the final two minutes or overtime to decide whether a defender was in or out of the restricted area around the basket on charge and blocking fouls. Replay can also be used for goaltending calls in the late stages games as well. In September, the competition committee will look at flopping and fouls away from the ball. Stern said that under the Collective Bargaining Agreement and the implementation of revenue sharing that profitable numbers are "optimistic." He said the proposed sale of the Memphis Grizzlies is proceeding on pace and the league hopes to approve it in the next couple of months. The league approved the sale of the Ontario Teachers Pension Plan's ownership interest in the Toronto Raptors to Bell Canada and Rogers Communications. Stern said there are more positives with the league, including the successful summer league held in Las Vegas. "We had a happy group of owners," Stern said. "Our ratings are up 28 percent over the last decade, while television ratings are down around 30 percent the last decade. We are going to have our best year ever, both in gate and sponsorship this coming year."